Office 365 navigation and application launcher integration. With a single click, you can now navigate to all of your Office 365 applications. Specifying a custom URL that users navigate to when they click a tile. 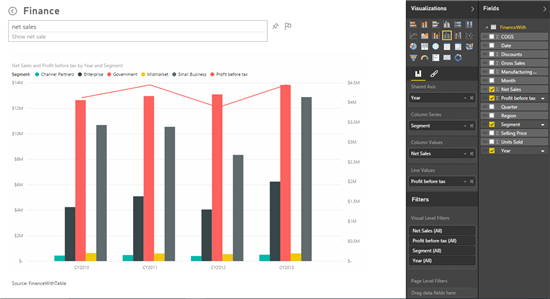 You now have the ability to control exactly where users go: a specific report, another dashboard, an SSRS report, or an external website. 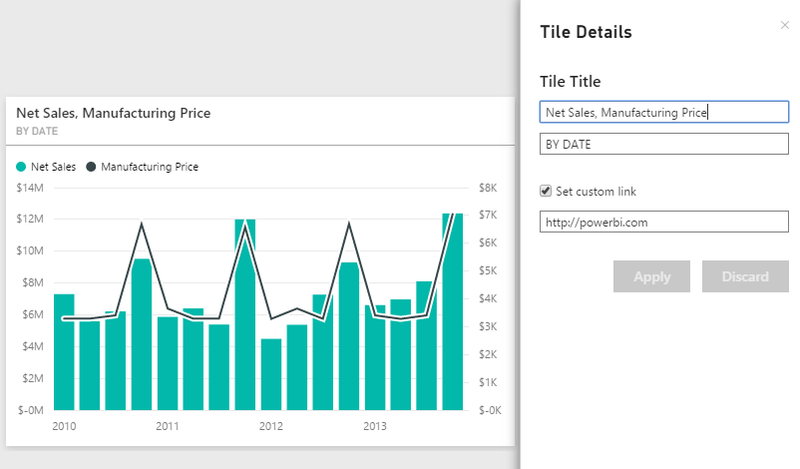 Now, you can easily move from Power BI to any of your other Office 365 applications. 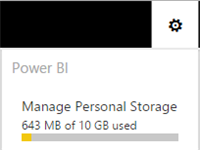 In next week’s deployment you’ll see even more integration with Power BI’s usage of groups for Office 365. Want to quickly navigate to Excel? Click the app launcher and then the excel icon. As we approach GA, we want users to see how much and which datasets dominated their data usage in Power BI. To manage your storage, click on the gear icon in the upper, right hand corner. Here you’ll see how much storage you’ve used along with the limit for your account. Click “Manage Personal Storage” and you’re taken to a list of the datasets you have access to, both your own and those shared with you. Here you can delete any datasets that you no longer need. Q&A enables users to ask questions of their data using natural language, like “what were my sales last week”. Users are then given answers in the form of a visual like the one below. Every business user can now explore and find answers in their data simply by asking questions. Once they get an answer, sometimes there are small tweaks or additions that users want to make to the visual returned as the answer. To enable this we’ve added the Visualizations, Filter, and Field panes to Q&A. If I want to change the visual from line to bar chart, I just click on the bar chart icon. Want to add a field to the visual, just click on the field or drag the field over to the appropriate location. There’s even more capabilities so go explore yourself. Come back next week as we’ll round out the list of capabilities announced as part of the GA blog post including a few new ones!